Because I am a woman who knows too much from documenting the Vanunu Saga! FilmFreeWay is a FREE service for screenwriters to connect with writing contests. For a modest sum, InkTip provides the opportunity to pitch scripts directly to producers seeking specific material. As a child the saints inspired me but my hearts desire was to become an author and reporter. My childhood dream became reality in 2005 when I was 50 years old. 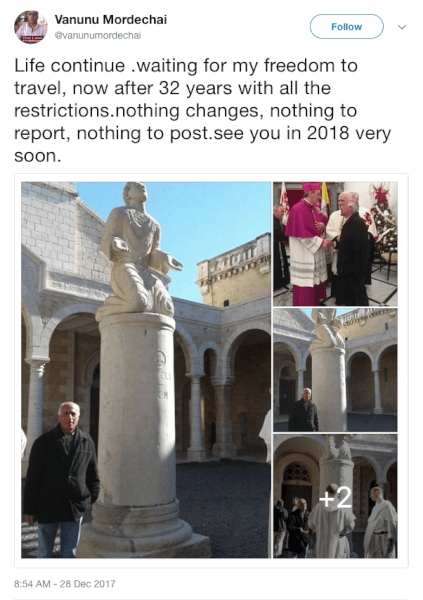 It happened during my first journey throughout the Holy Land after a ‘chance’ encounter in Jerusalem with Israel’s nuclear whistle blower Mordechai Vanunu. 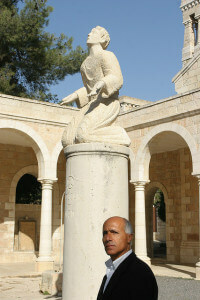 Vanunu had been freed from 18 years behind bars in 2004 under restrictions including he not speak to foreigners. 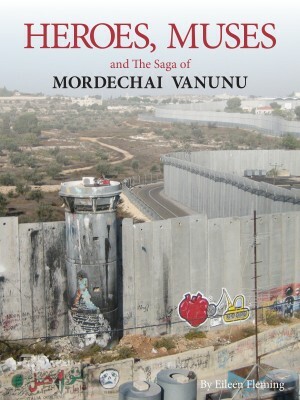 “This American and Israel’s Nuclear Whistle Blower VANUNU” is adapted from my third book, which enshrines the stories Mordechai Vanunu told me about his childhood, crisis of faith from Orthodox Judaism, atheism, a Christian baptism, etc. THIS POST HAS BEEN READ 32377 TIMES SO FAR. THANK YOU!